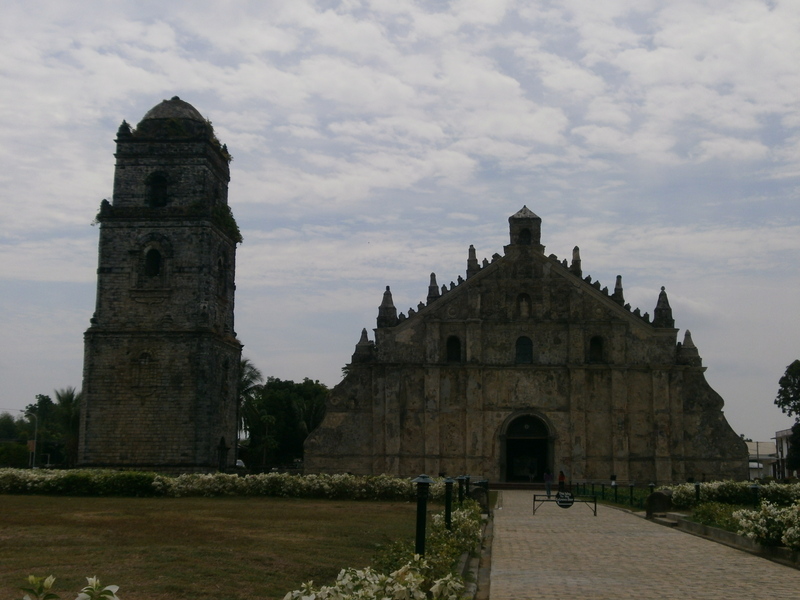 Here’s the continuation of the Ilocos Norte vacation post. After Day 1 (the highlights of which I’ve posted here), we literally collapsed in our beds at the hotel as we were downright exhausted. Little did we know that Day 2 was going to be more action-packed. It was so action-packed that apparently, I need to make a part 3 just so this post doesn’t go on forever and won’t hurt your eyes too much. 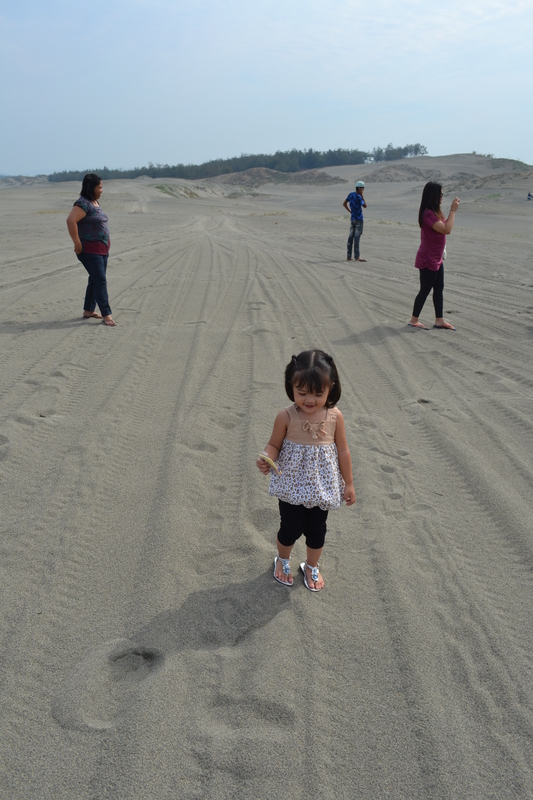 Our first stop for Day 2 was the popular Sand Dunes of Paoay. 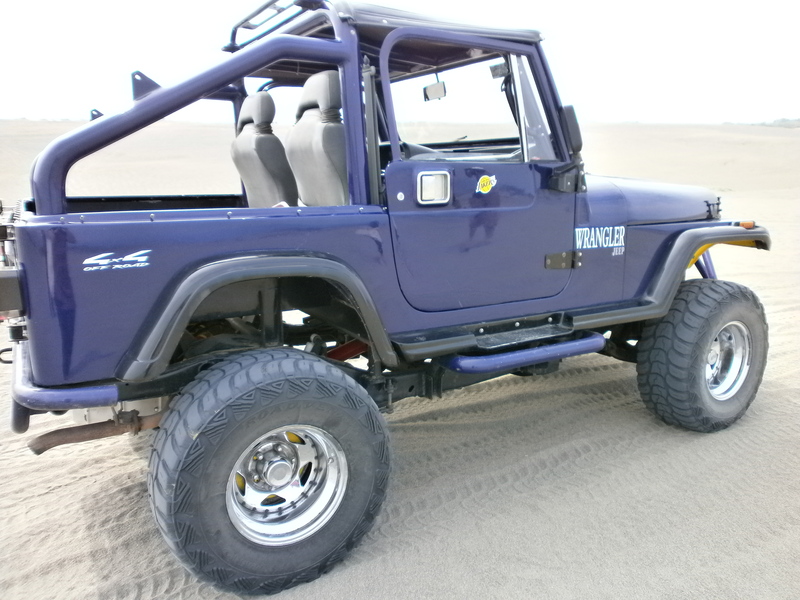 This was our 4 x 4 ride. We opted not to go extreme with the ride like most thrill-seekers do. I hear the whole ride can be as scary and exciting as a roller coaster. But since we had a toddler in tow, we just opted for a semi-peaceful cruise along the desert. Peaceful but still bumpy. Once we got off the jeep all we could see were miles and miles and miles of pure desert sand. The little one had fun walking along the desert. Hey, it’s not everyday that you get to play in a sandbox this size. 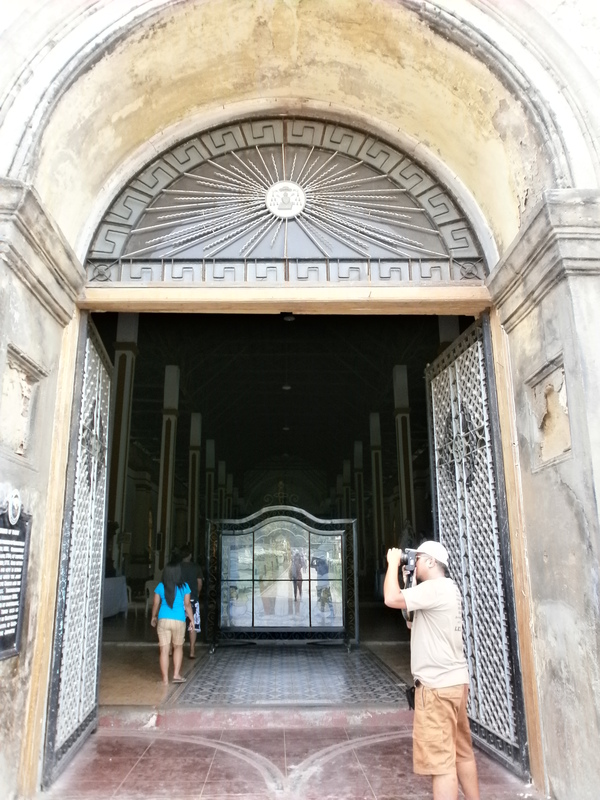 Afterwards, we went to the Paoay Church which is also known as the St. Augustine Church. The church is made of corals and bricks and bears a unique Baroque design. 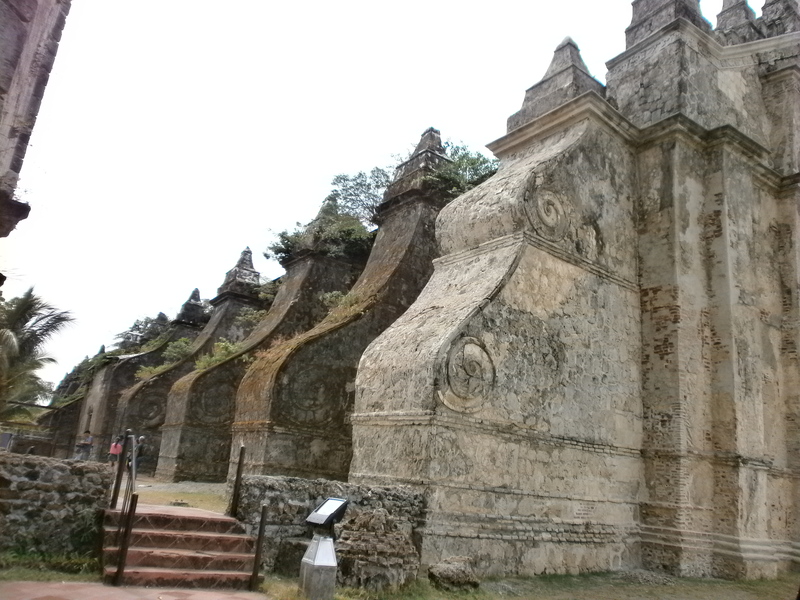 This is one of the historical landmarks of Paoay. I heard an interesting story from one of the locals about how the church was built centuries ago. Apparently, from a far off distance, people of the town had to pass the brick from one person to the next, until it made its way all the way to the church. That must have taken forever! If you look at the church from this angle, you’ll get to see the different walled layers. Very unique. The main entrance. Hub’s right there taking pics. 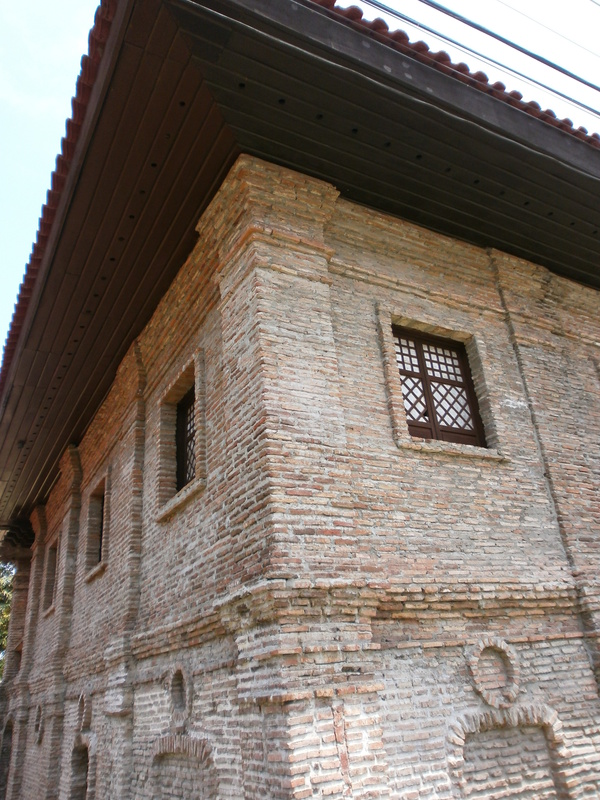 This bricked structure is the Juan Luna Shrine. 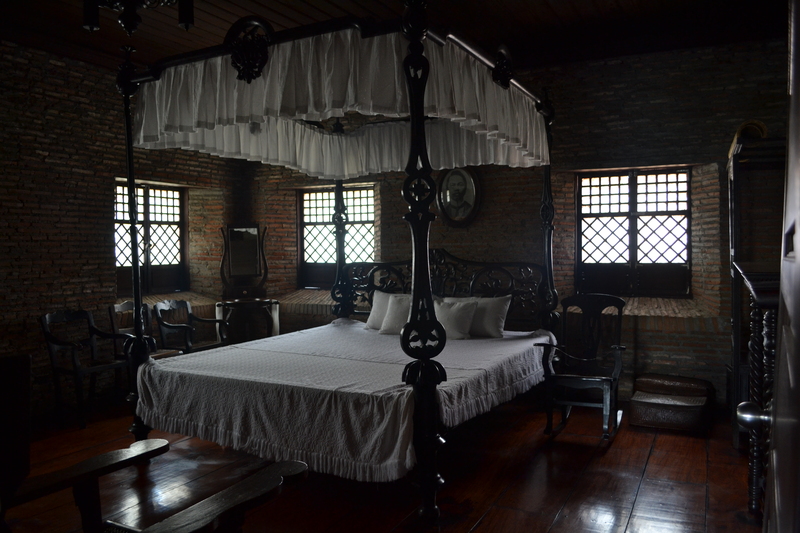 Juan Luna was a famous painter who happened to be born in the town of Badoc in Ilocos Norte. Some of his highly-acclaimed work include the Spoliarium back in the 1880s. This was a reconstruction of his home as the original house burned down. 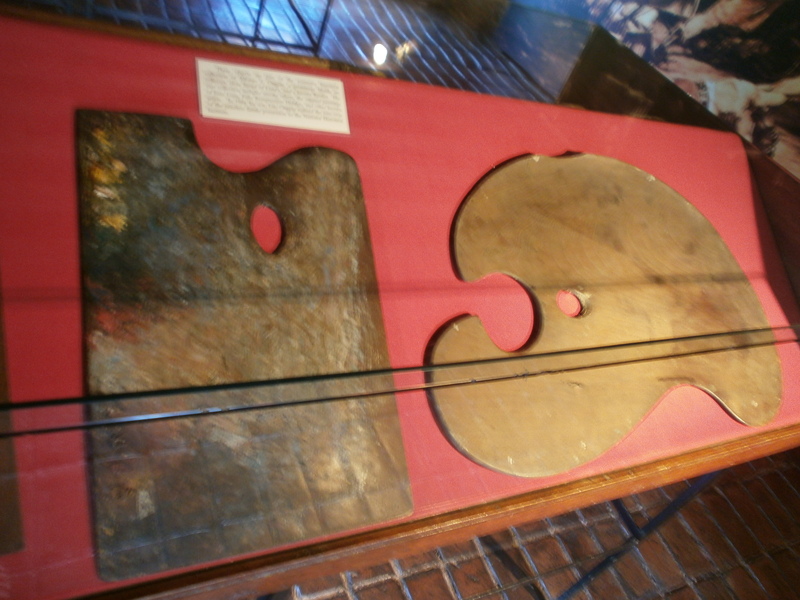 This place now serves as a shrine of his work (both original and replicas), and shows the furniture that he owned when he lived in the house. I love this brick wall. That lamp really adds drama to those beautiful artworks. The little girl resting on the hardwood floors. Also in this area, was a painting of the ex-wife which they say is a cursed painting. Although we took a photo of it, I opted not to post it in this blog as the painting just brings chills to my spine. The bed in the master’s bedroom. Beautiful. After touring, it was time for a break. 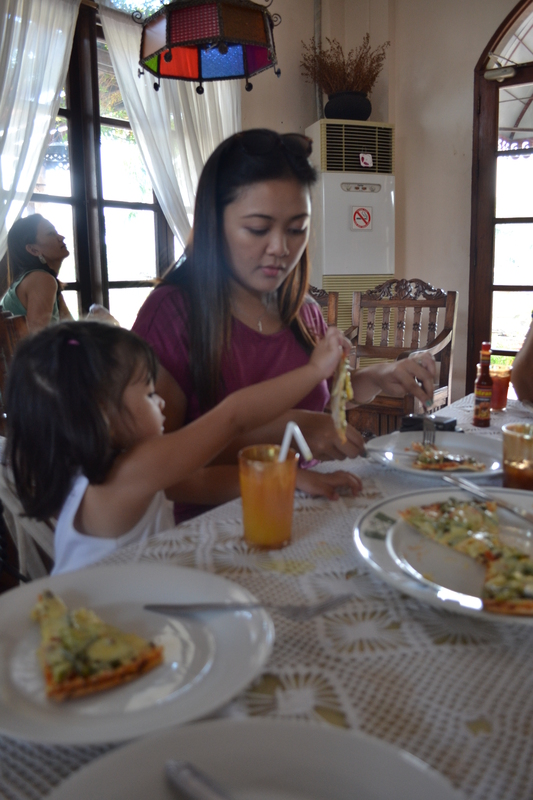 We headed over to Herencia Cafe “Home of the Famous Pinakbet Pizza”. Pinakbet is a meat and vegetable stew popularized by the Ilocanos. Bagoong, a Philippine condiment made of fermented fish or shrimp and a lot of salt, is one of the main ingredients of this dish. So to turn that into a Pizza is highly unusual. Can you just imagine a vegetable pizza with cheese and bagoong? Sounds weird right? But we very excited to try it. Tala and her great grandmother having a heart to heart talk. Moments like these are truly golden. 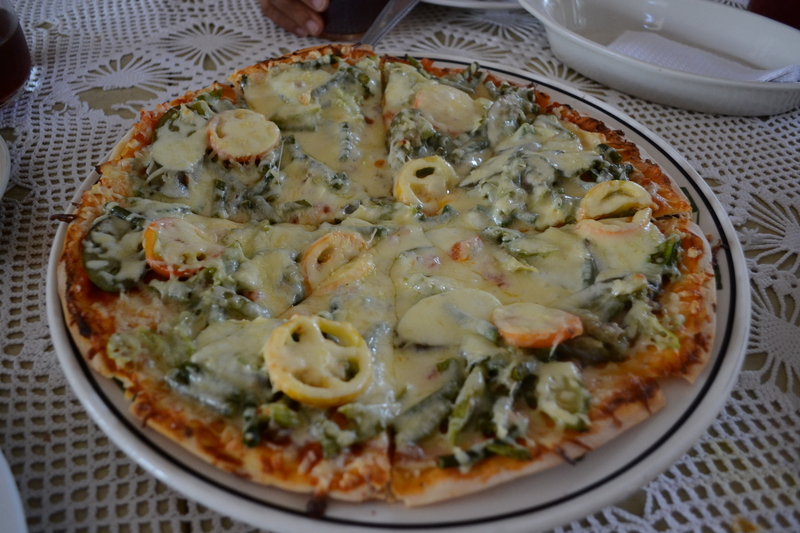 And there it is…the famous pinakbet pizza! And can I just tell you…it does not disappoint! It tastes absolutely delicious! Especially with a dash of bagoong on top. I can’t explain it but it works. Whoever thought of this is genius! How I wish someone would bring this concept to Manila. So that was just half of day 2. I promise day 3 will be exciting. 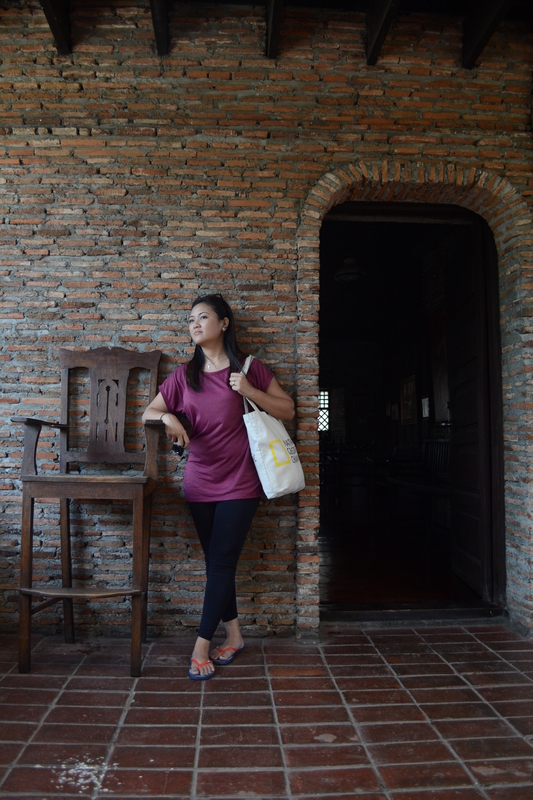 I will show you the presidential home of Ferdinand Marcos and Imelda Marcos. Yes, you read it right…THE Imelda Marcos. You have got to see those photos. Can’t wait to show those to you. 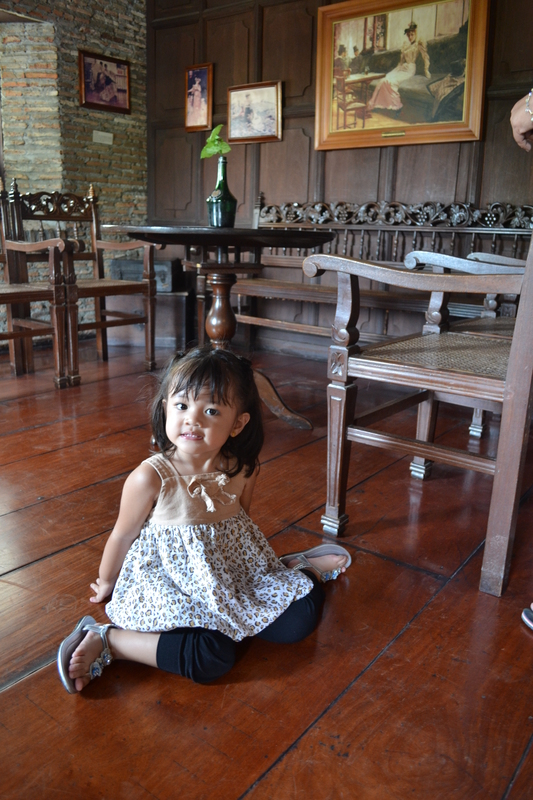 wow, your daughter is so big na! i love the church, it’s so old and classic! happy weekend aimee! yup she ain’t so little anymore. hehe 🙂 thanks marsy! happy weekend!